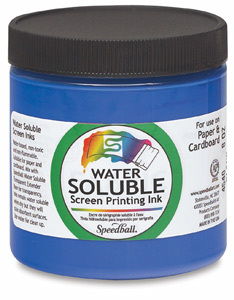 For printing on paper and cardboard. Matte finish. Non-flammable, non-toxic, waterbased pigments. 9 colors. Use direct photo emulsion or water-resistant hand-cut film.